If you are sending your PowerPoint presentation to someone else, you may want to remove personal information such as the author’s name. 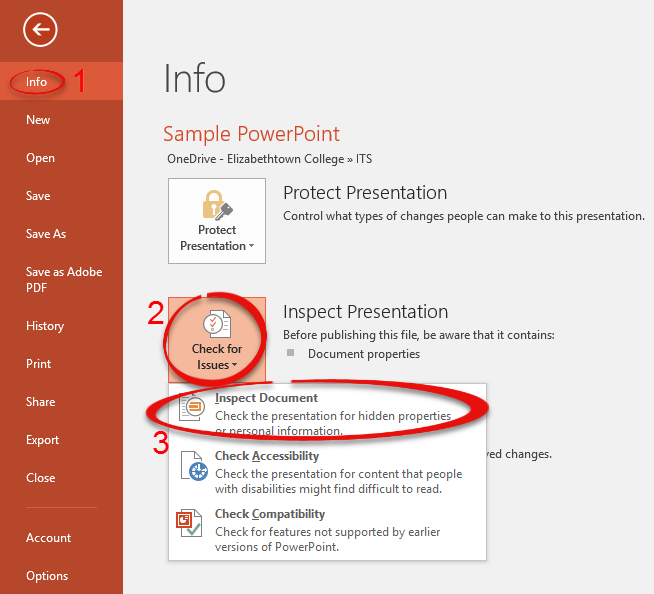 This process also works in PowerPoint 2010-2013. Step 1:Select the File tab. Click Info. 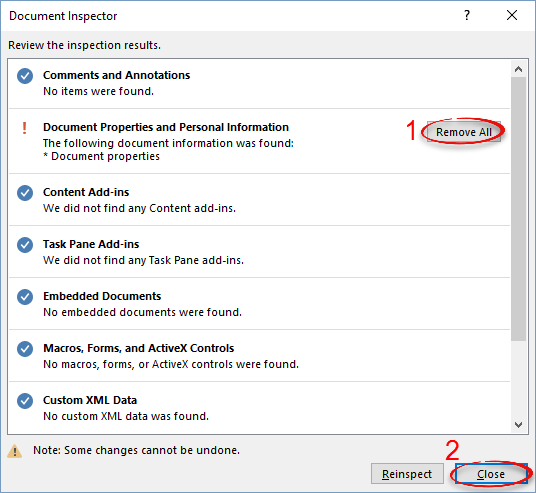 Click Check for Issues, then Inspect Document. 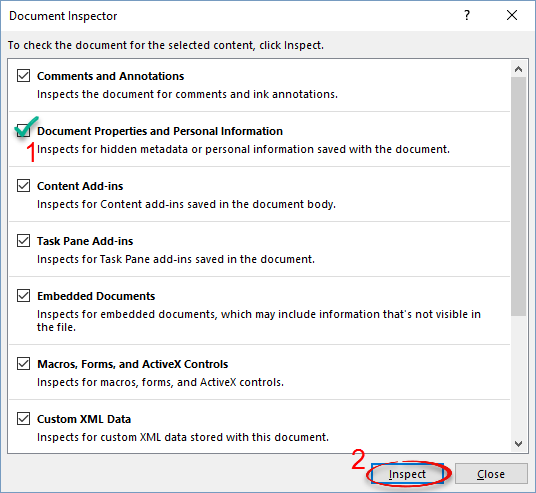 Step 2:Make sure that Document Properties and Personal Information is selected. Click Inspect. Step 3:Click Remove All. Close the window to finish.